SNAFU! : Belarus baffled by media hype around Zapad 17! Belarus baffled by media hype around Zapad 17! The speculations surrounding the Belarusian-Russian strategic army exercise Zapad 2017 are hard to comprehend, BelTA learned from Belarusian First Deputy Defense Minister, Chief of the General Staff Oleg Belokonev on 29 August. 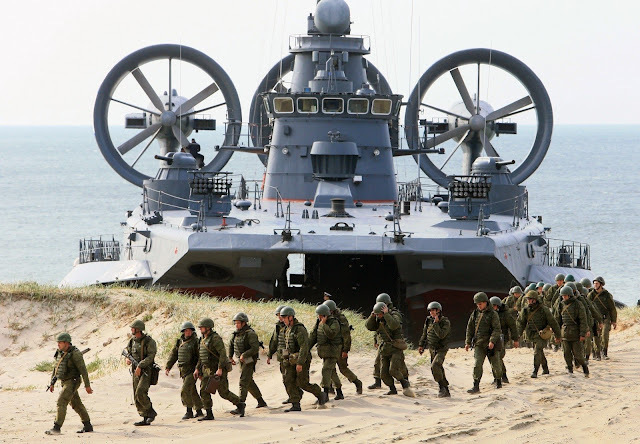 Oleg Belokonev will supervise the exercise on behalf of the Belarusian side. Oleg Belokonev remarked that preparations for the Zapad 2017 exercise proceed on the back of a complicated military and political situation in the region. NATO's frontline command centers have been deployed near the western borders of the Union State of Belarus and Russia. NATO exercises are held virtually one after another, including those that deploy troops in the immediate vicinity of the Belarusian border. Oleg Belokonev stated that the number of military exercises in the region has doubled in the last eight years while the number of troops involved has more than tripled. “This is why we fail to understand the mass media hype surrounding the Zapad 2017 exercise,” stressed the official. Oleg Belokonev reminded about NATO's multinational exercise Anaconda 2016, which was the largest one on record since the end of the Cold War. Representatives of 24 countries took part in that exercise. All the main parameters of NATO's Anaconda 2016 exercise in Poland exceeded the parameters of the Zapad 2017 exercise several times over. The number of military personnel involved in the Anaconda 2016 exercise exceeded that of the Zapad 2017 exercise by more than two times. The number of weapon systems and military hardware involved in the Anaconda 2016 exercise exceeded that of the Zapad 2017 exercise by nearly 4.5 times. The practices polished during the Anaconda 2016 exercise were clearly unfriendly, however, Belarus remains calm about it, stressed Oleg Belokonev. I consider this humorous! The West is losing its mind over an exercise in Belarus when I've been complaining about exercise overload in Europe for at least a year and a half. What did they expect would happen! How can military leadership think that if they do exercise after exercise that this wouldn't be a response? It's like punching a guy in the face and then getting pissed if he punches you back! A little more strategy and a little less checkers would be appreciated. As things stand now it seems as if we have infants running the various defense depts.